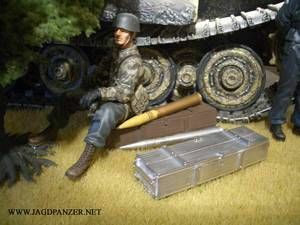 1/16 German Ammunition Box Discounts Apply ! JPZ070 - 1/16 German Ammunition Box 88. Can be painted and weathered. A must for all German Tiger I, King Tiger and Jagdpanther tanks.